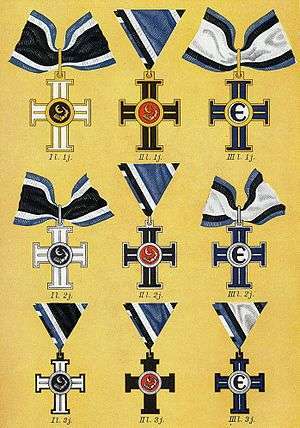 The Cross of Liberty (Estonian: Vabadusrist) was a medal established by then Prime Minister of Estonia, Konstantin Päts, on 24 February 1919 to honor people for their services during the Estonian War of Independence and conferred in three grades, each in three classes. Grade I was for military leadership, Grade II for personal courage, and Grade III for civilian service. Grade and class is attached to the name of recipient in the form of post-nominal letters. The 1st class of II grade was never conferred. 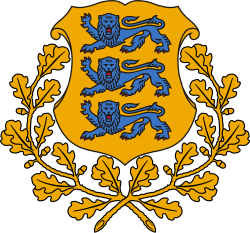 Bestowal of the Cross of Liberty was terminated on 19 June 1925. The last surviving recipient of the Cross of Liberty was Karl Jaanus VR II/3, who died on 6 October 2000. The War of Independence Victory Column in Tallinn, opened in 2009, is modelled after the Cross of Liberty.